It's been awhile. 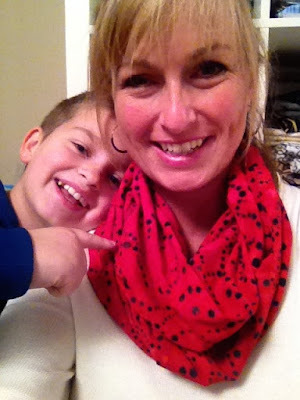 My life took a turn from blogging to deal with life for awhile. You know, the stuff that you don't really count on happening, but they do. The stuff that movies are made of. Oh yes, and we moved too. I took October -December off, to pack,move, unpack, settle and just be. 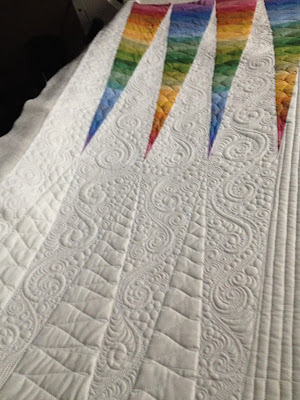 I am taking on new quilts as of January 2016 and will be quilting full-time. If you are interested, please send me a message! 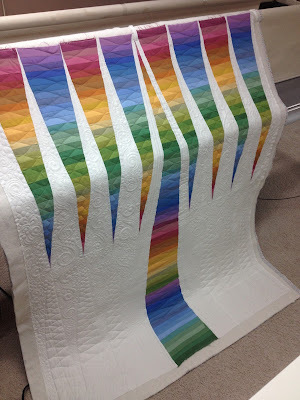 I kept the rainbow ombre quilting simple, and then densely quilted the white background. I think it turned out really special with the quilting. 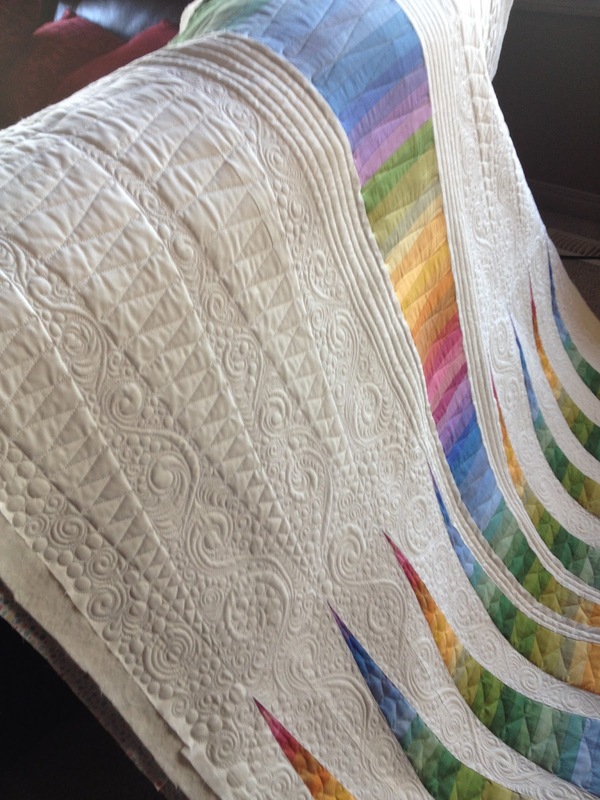 It kind of let the colours leap off the quilt top. 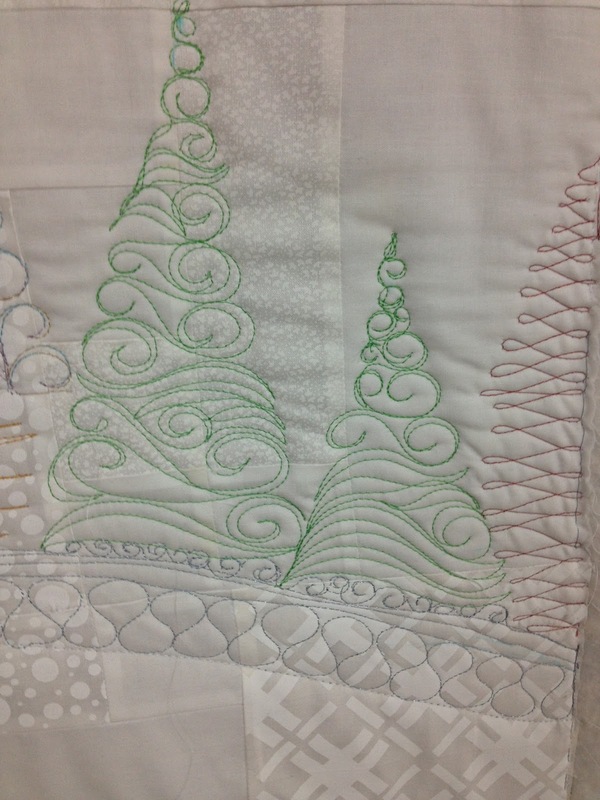 I used metallic threads for the trees and I used filler to show the shape of the trees. 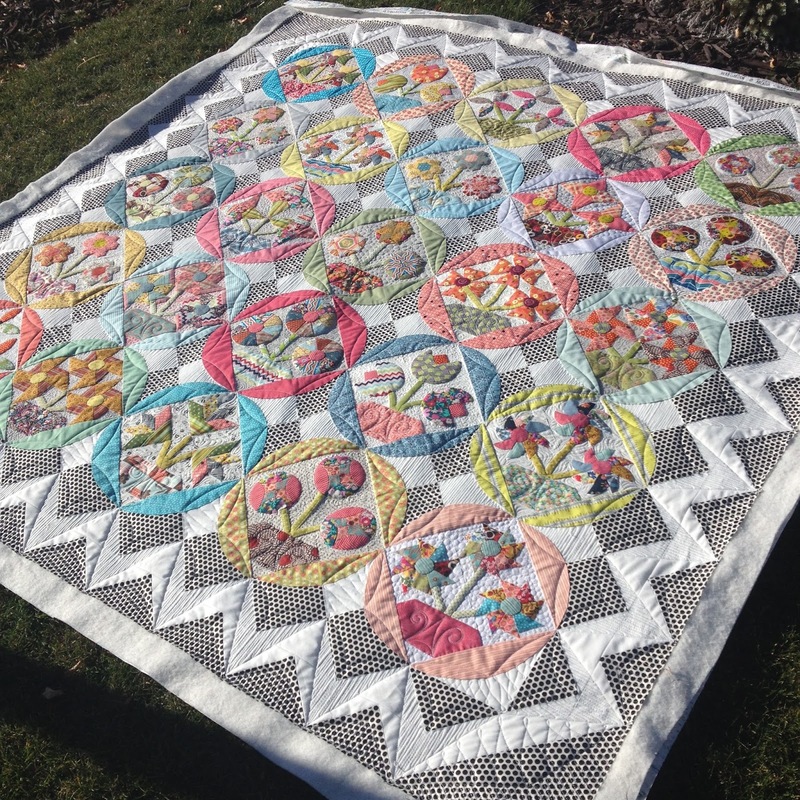 Again, totally floored and honoured that someone wants me to work on something like this! Wowza!! 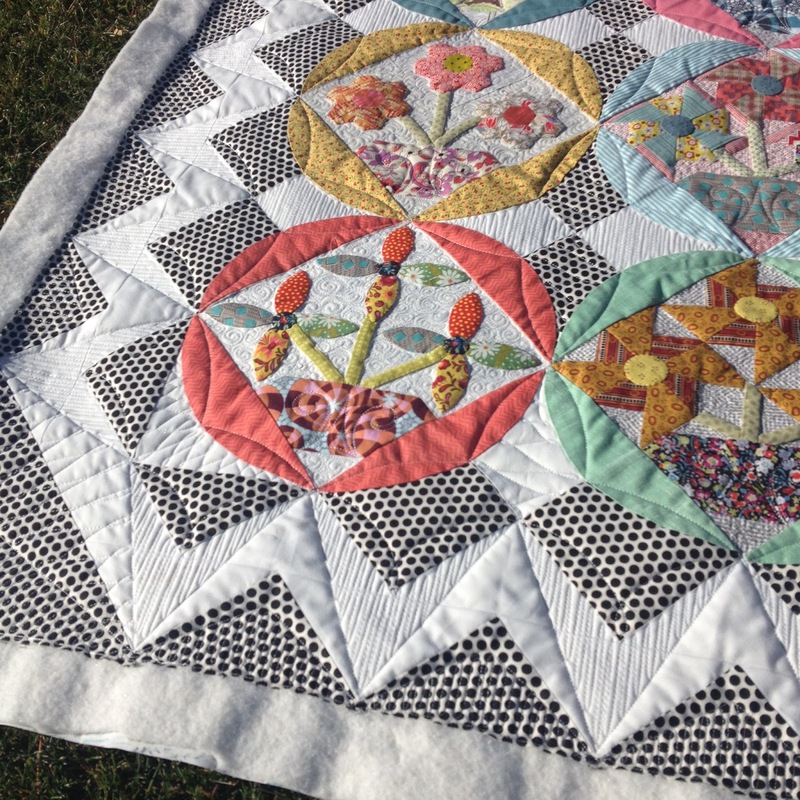 Look at the appliqué and the gorgeous piecing! 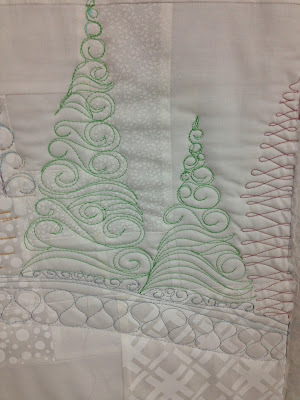 I did dense fillers around the appliqué to let them pop and showcase some of the beautiful pieces in the quilt. 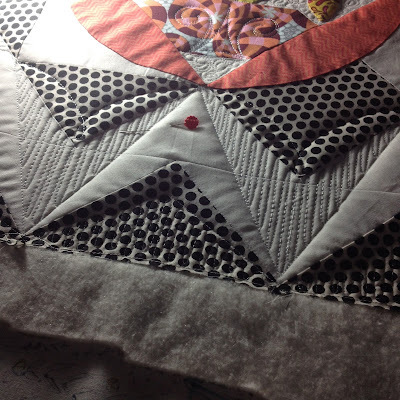 The border treatment I kept simple with a triangle ghost echo.....again, with some denser fill to showcase the shapes and the texture. This is a stunning quilt! If you made it this far, you're thinking - did she do anything for HERSELF? YES! I did! b) my sewing machine crapped out and needs to be repaired. I am planning on working on a king sized quilt for my bed....it's in my head right now. ha! 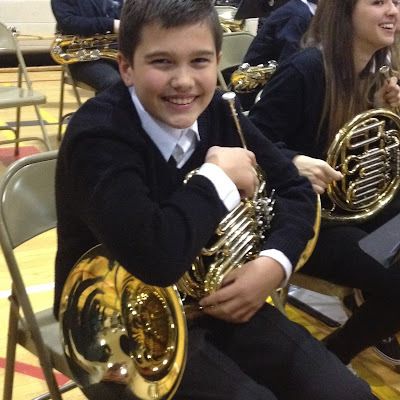 my oldest....I made him! This always floors me. If you made it this far, a reminder - I'm getting back into quilting again, and will be taking on full time quilting schedule as of January. If you are interested in longarm quilting work or commission work, send me a note! Thanks for reading...thanks for your support! 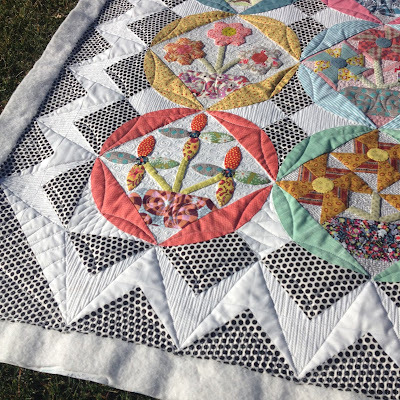 LOVE all the quilts! 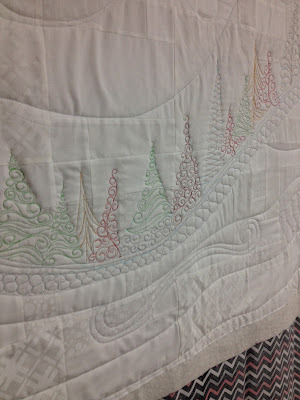 Magic quilting..........the winter is scene is awesome. 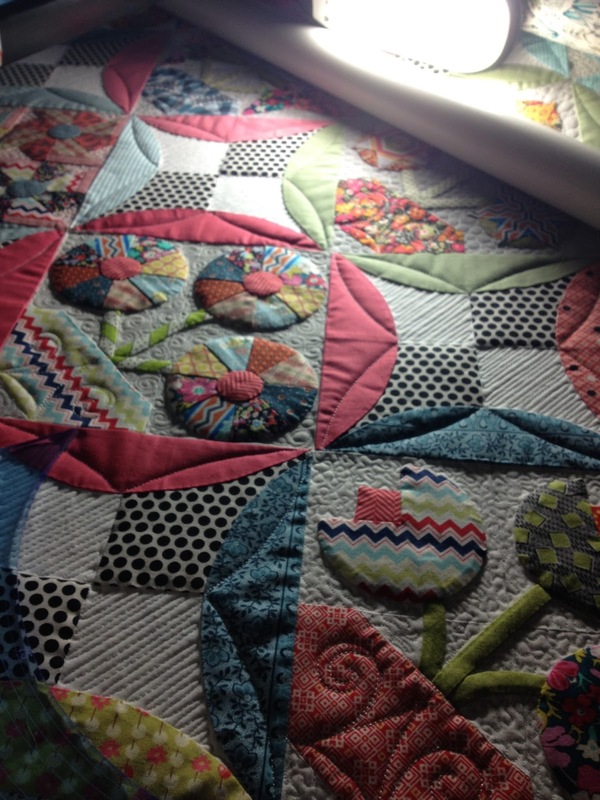 Great to see you will be back at it...and your quilting is amazing! Your work is stunning! I love the first one, but honestly....all are wonderful!!!! Great to see yo uback. 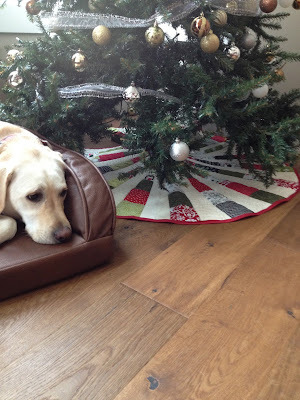 I've been neglecting my blog too, but don't have moving as an excuse. Thanks for sharing all the photos.